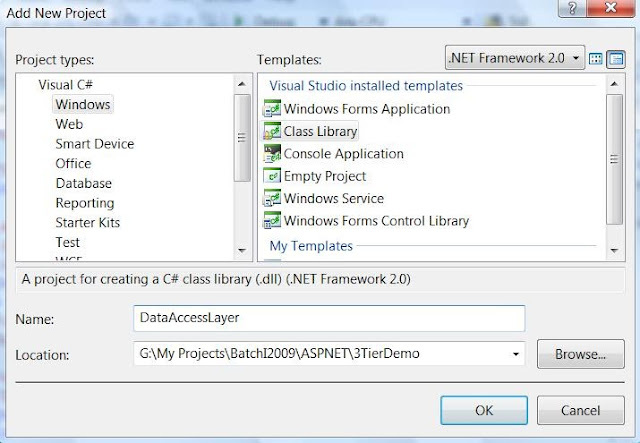 Most of the projects in .NET are developed using tier / layer architecture. 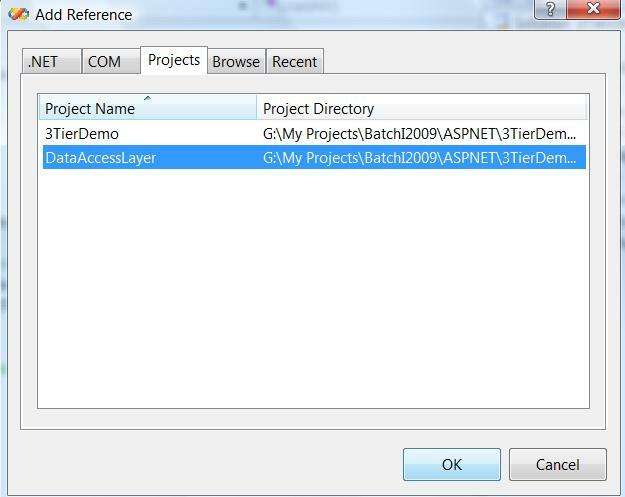 Though tier and layer have different meaning, but for all .NET beginners I am using same term. Below is typical diagram of 3 tier architecture. Presentation Layer: It’s a User Interface Layer (UIL) where users are interacting with an application. It also contains additional application logic. This layer may be ASP.NET, windows or mobile application. This layer interacts with middle layer. It never directly access data layer. 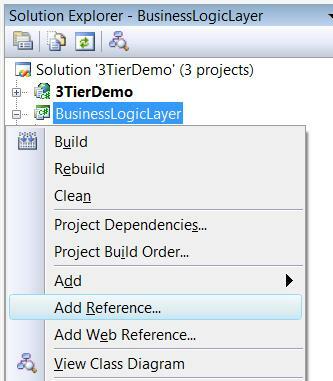 2. Business Layer: It’s a Business Logic Layer (BLL) which communicates both to Presentation layer or Data Layer. 3. Data Layer: It’s a Data Access Logic Layer (DAL) which interacting with database. Create one window / web project. 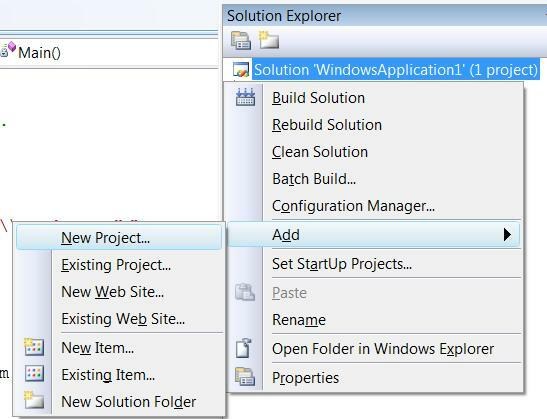 Similarly Add the reference of BusinessLogicLayer in your window / web project. Try to access the BusinessLogicLayer’s StudentInfoBLL class. Finally your 3-Tier application look like. Hope this is helpful. Please leave your comments for any help / suggestion.